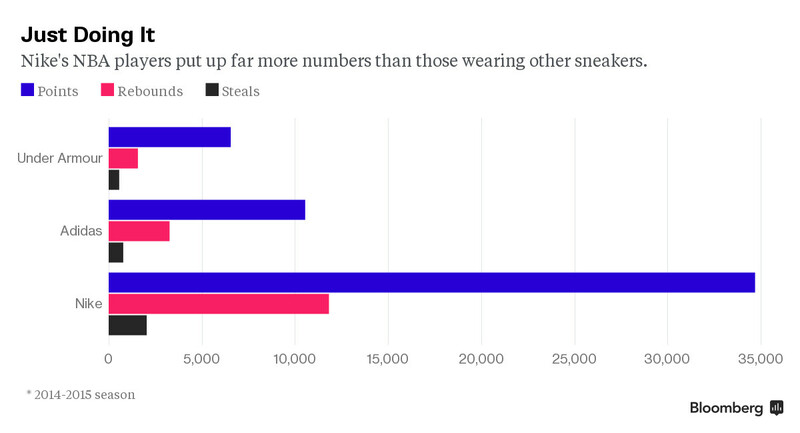 Nike's sponsored athletes in the NBA have way more points, rebounds, and steals than those signed to any other sneaker brand. But, as Bloomberg reports, Nike's approach to these endorsements might not be the most efficient. The brand spent a decent amount of money last year on players who didn't really produce, players like Carmelo Anthony, Paul George, and Kevin Durant. 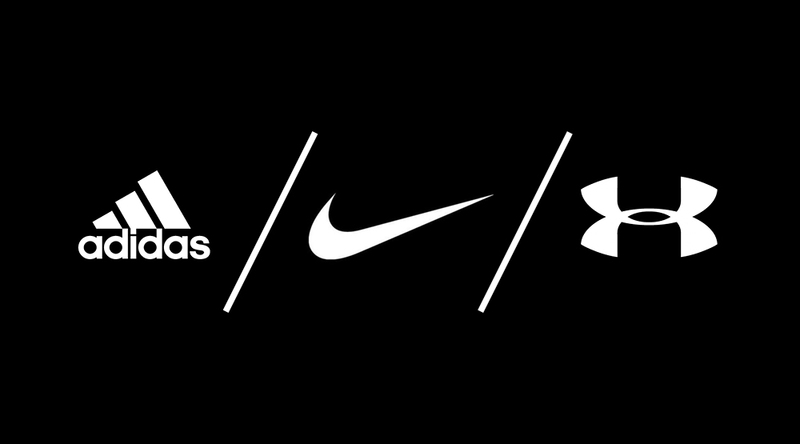 The gap between Nike and adidas closes a considerable amount when things are calculated on a per-player basis. 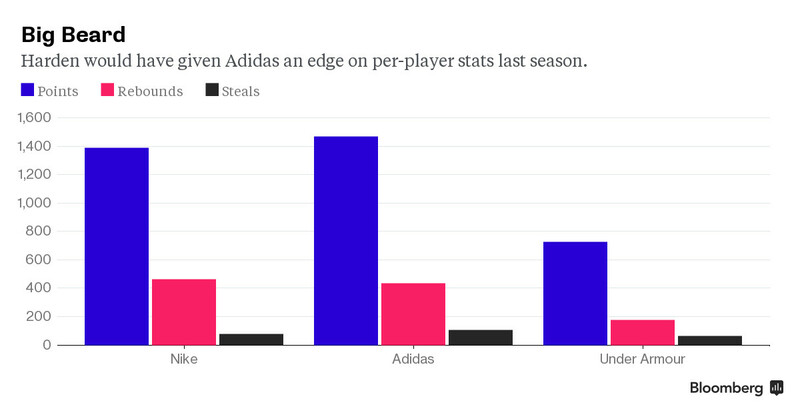 Bloomberg's look at the figures was sparked by the potential James Harden adidas deal. They even went so far as to recalculate things to see how Harden would have helped adidas in these categories were he signed with the brand last season. Of course, on-court stats are only part of the picture. Bloomberg also took a look at the social media followings of some of the biggest NBA athletes endorsed by adidas, Nike, and Under Armour, which help paint the picture of how popular these athletes are. Their conclusion? James Harden needs more Instagram followers.